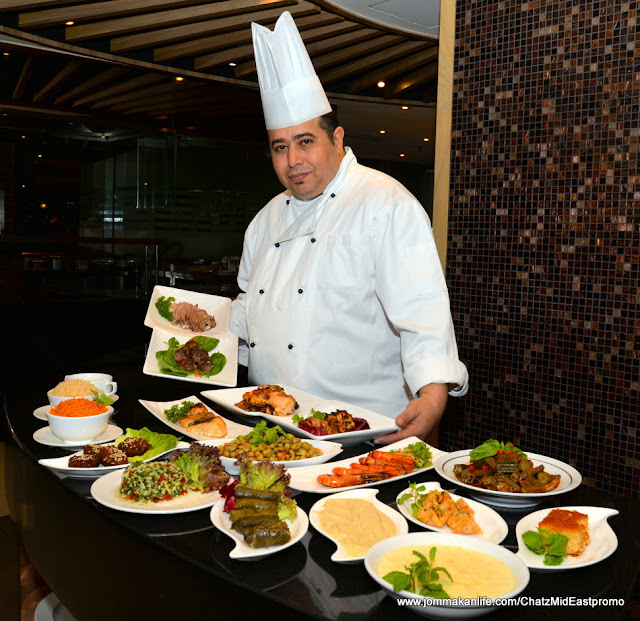 Egyptian guest chef Ayman Ibrahim pulled out the stops for the Middle Eastern Food promotion at Chatz Brasserie, rustling up a repertoire of 37 Egyptian, Middle Eastern and Mediterranean dishes throughout the period between now and 31 October 2016. Coriander seeds combined with sesame seeds lent subtle crunch to the Falafel (RM20) - a popular snack and appetiser of chickpea croquettes with tahinah (sesame paste). I like these patties as the chef has ensured they weren't overcooked and dry. 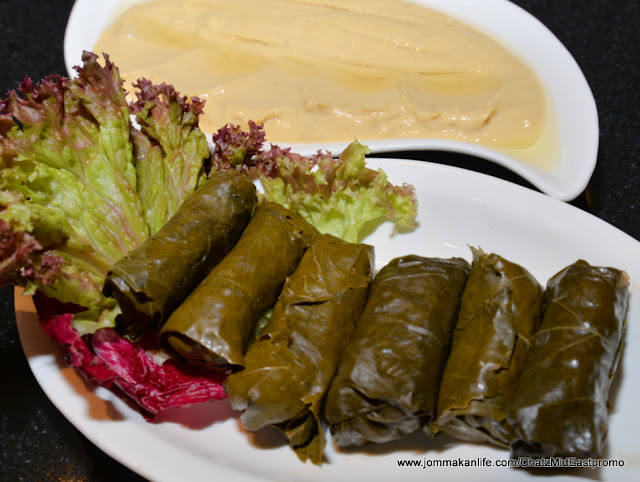 Middle Eastern, Mediterranean and Egyptian cuisines share some similarities and one of the most obvious we sampled at the preview was Warq Einab (RM22), brined grape leaves stuffed with rice. 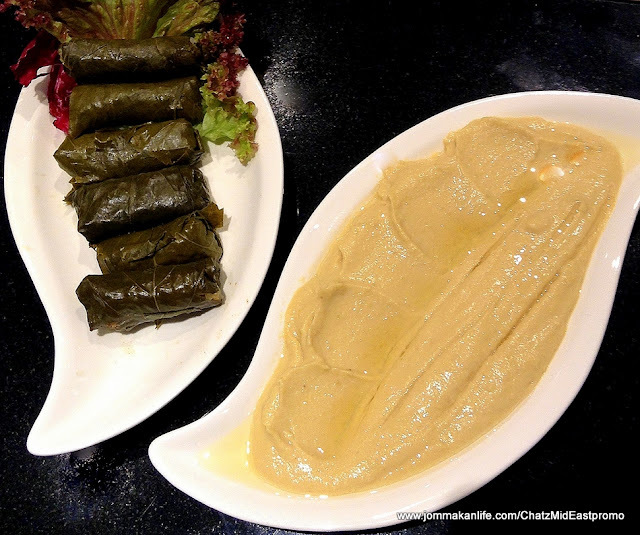 These dainty rolled parcels were surprisingly palatable - the grape leaves weren't as tart and salty as I had expected and the rice filling was agreeably tasty. The pleasant taste left a good impression as past encounters with this speciality hasn't been up to scratch. 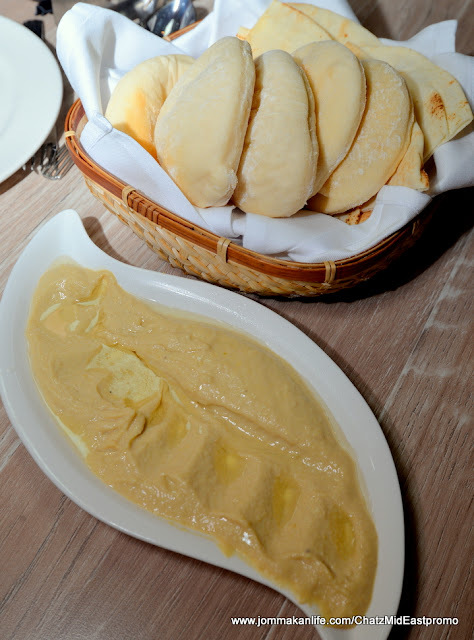 Another common appetiser across the region is Hommous (RM16), the evergreen chickpea spread. Of course, recipes vary from chef to chef and restaurant to restaurant but I had yet to savour a dud so this delightfully smooth and dense spread was a joy to eat with warm, pouffy Arabic bread. 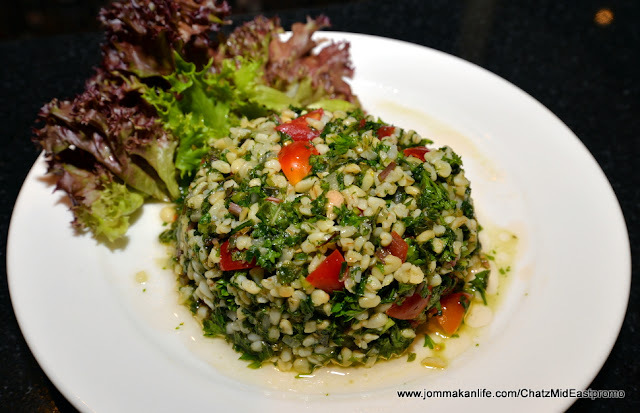 Bulgur wheat and tiny wedges of cherry tomatoes lent subtle 'bite' to the guest chef's Taboulah (parsley & mint salad, RM20). The tangy lemon juice and olive oil dressing was tantalising enough minus any sharp tartness so we rated this as a definite 'must have'. 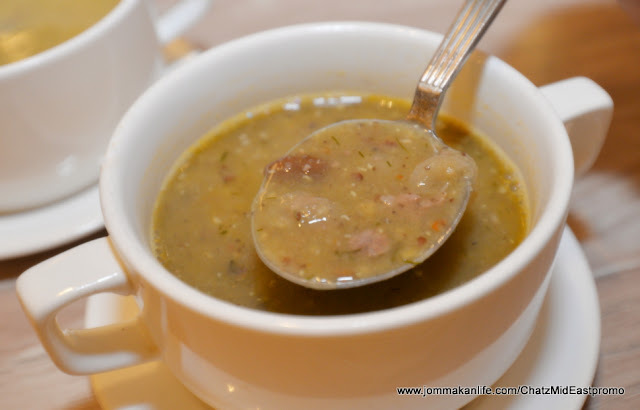 Even the rustically creamy lentil soup or Shorbah Adas (RM26) won us over with its back to basics approach. Every spoonful was a testament to the chef's TLC, warming our hearts and tummies with its soulfulness. Pasta, chickpeas, beans and lamb cubes bestowed heartier substance to the same lentil soup, transforming it into Shorbah Harirah (RM30). 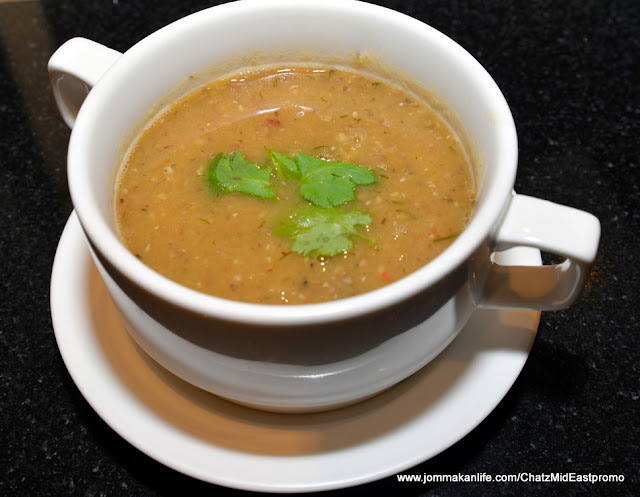 The resultant broth had greater complexity and depth but personally, I preferred the pared down, lighter version. with Roz Boukhary (long grain rice cooked with lamb marinated with assorted spices, RM25). 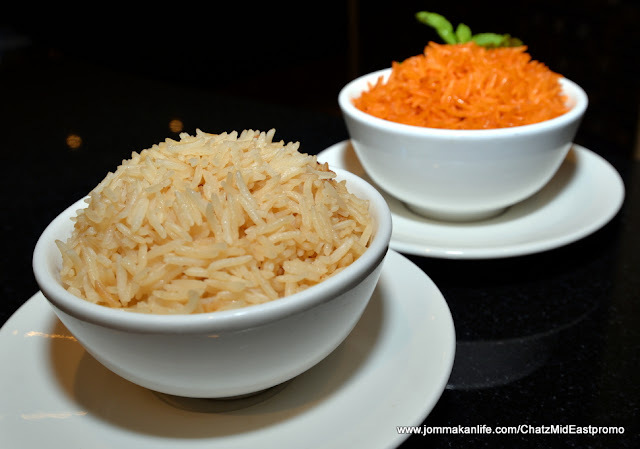 The meat was subtly suffused with aromatic spices; its delectable accent amplified by the flavourful rice. We also tried Roz Saiadiah (RM18), irresistible fried onion rice which served as a foil for several other mains. 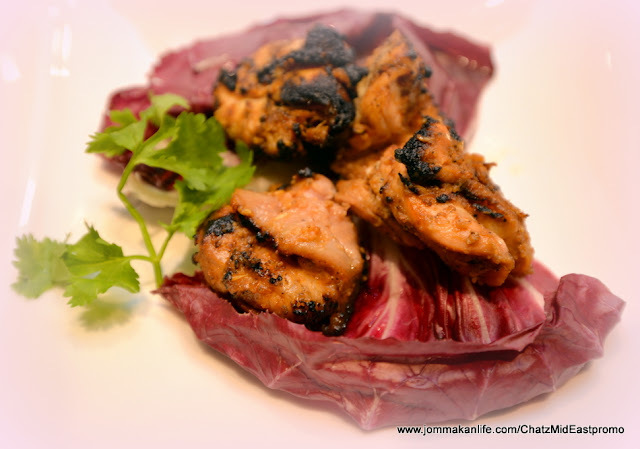 Chef Ayman proved to be a dab hand at grilled spring chicken or Dajaj Ala Elfaham (RM36). The juicy chook bore hints of warm, smoky spices which should leave you asking for more. 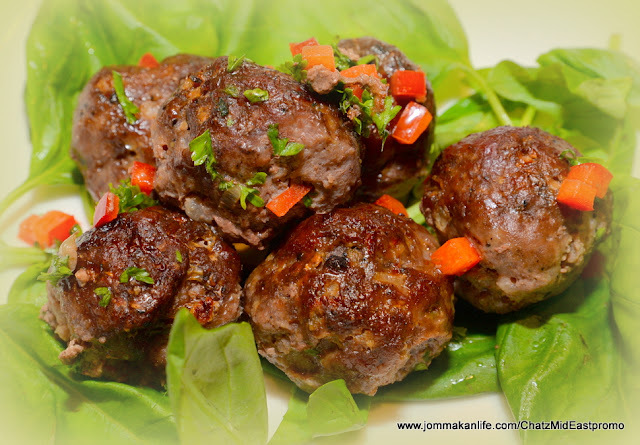 Another combination of spices was discernible in Kofta, barbecued lamb meatballs. These gamey spheres appeared a tad dry for my liking but we took so long photographing them, there could have been some moisture loss. 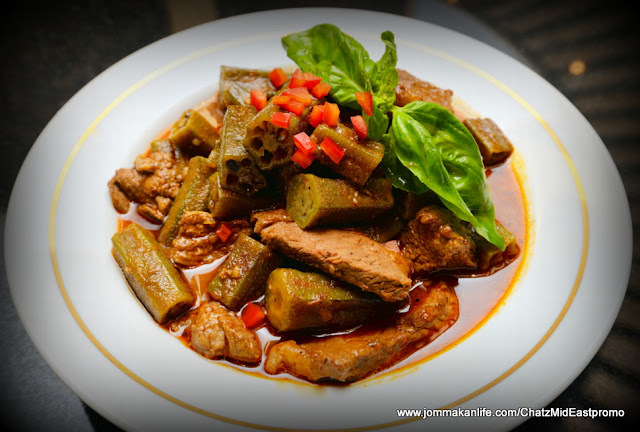 Vege such as okra stewed with tomato and beef formed the premise for Bamiah bil Lahm Ejal (RM50). At first glance, the dish could be mistaken for curry but the red hue stemmed from the tomato sauce base. 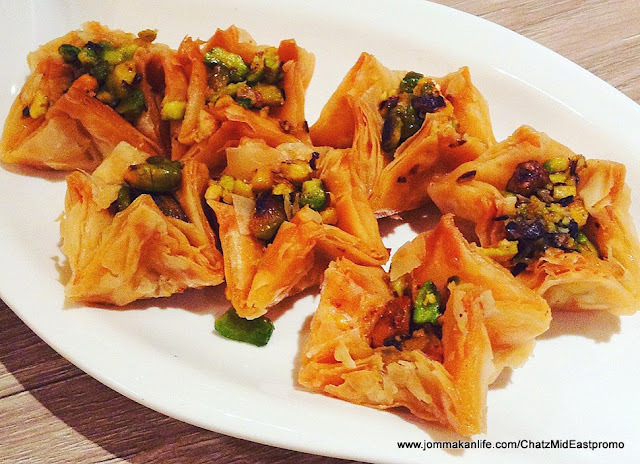 A perennial Middle Eastern comfort food that should please homesick foreign visitors from the very same shores. If you prefer not to deal with bone-in pieces of chicken then Shish Tawook (barbecued skewered chicken cubes, RM30) would suit you down to the ground. 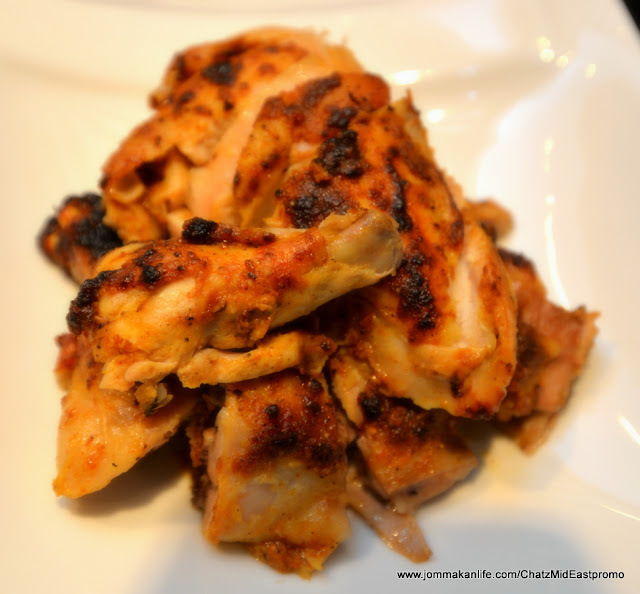 Marinated in yoghurt, lemon juice and spices (possibly cayenne, paprika and sumac), the lean cubes of grilled chicken were slightly dry to the bite. 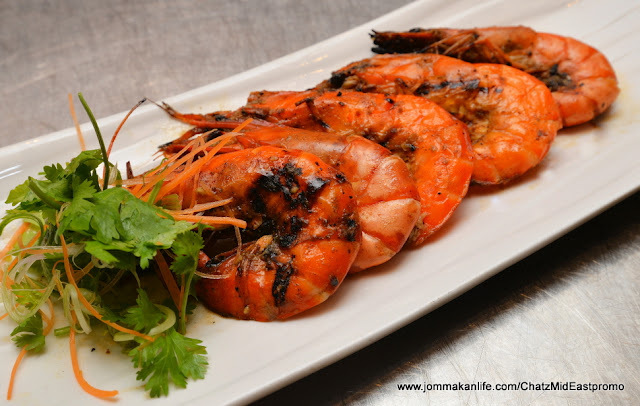 Similarly, seafood and fish are often thrown cooked on the grill. 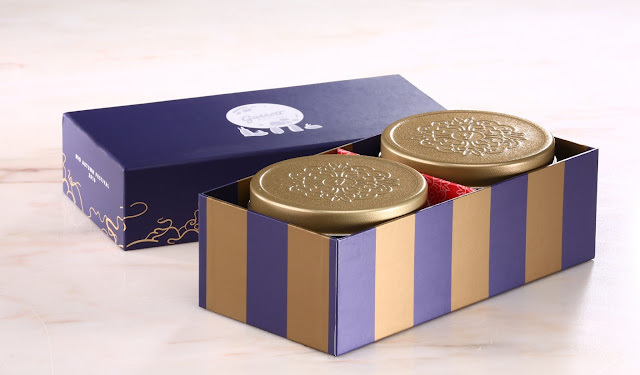 The mixture of spices may differ but the key ingredients' inherent taste is maintained. Proof of the pudding was the sublime accents discernible in Jambary Mashwi (grilled prawns with saffron sauce, RM55) and Samak Mashwi (fried fish glazed with tahinah, RM46). 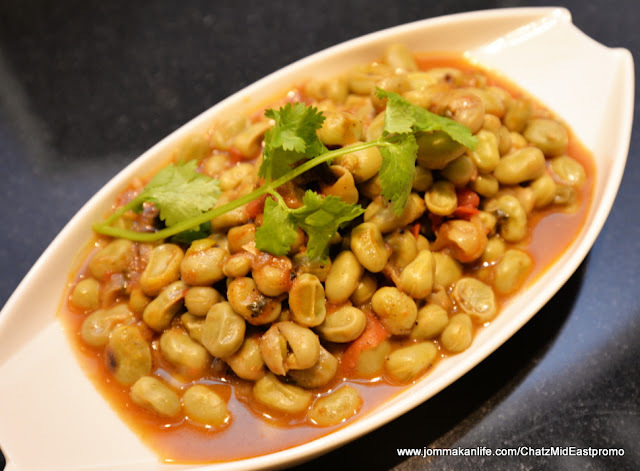 Broad beans with rice and herbs or better known as Fooll Akhdar (RM28) underscored the simple homespun fare enjoyed by the people residing in the Mediterranean and Middle East for centuries. A tried and tested offering that most of them would identify with. 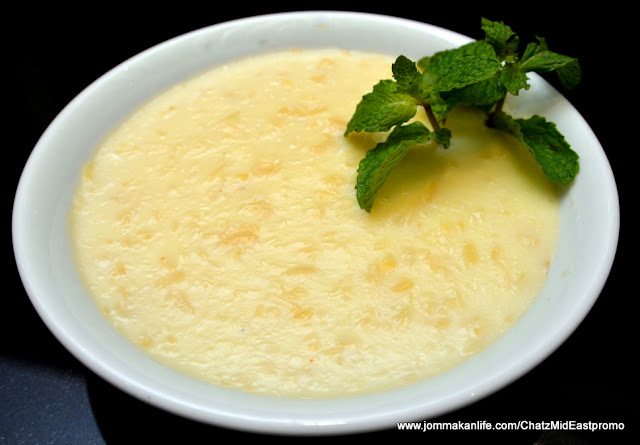 Kashul (almond pudding, RM25). Perfumed with rosewater, the pudding looked stodgy but once I sampled it, the luscious treat reminded me a little of creme brulee although it was less dense. 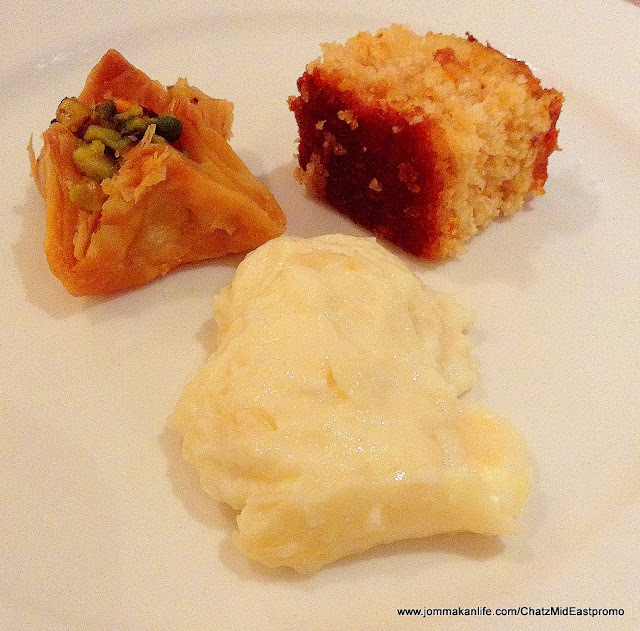 Other options guaranteed to please Middle Eastern cuisine fans included Baklava (RM25) and Basbosah (RM18). Four types of nuts were coarsely crushed and filled into petite florets of fillo pastry; a sticky mass of syrupy sweetness encased in buttery, flaky fillo layers. 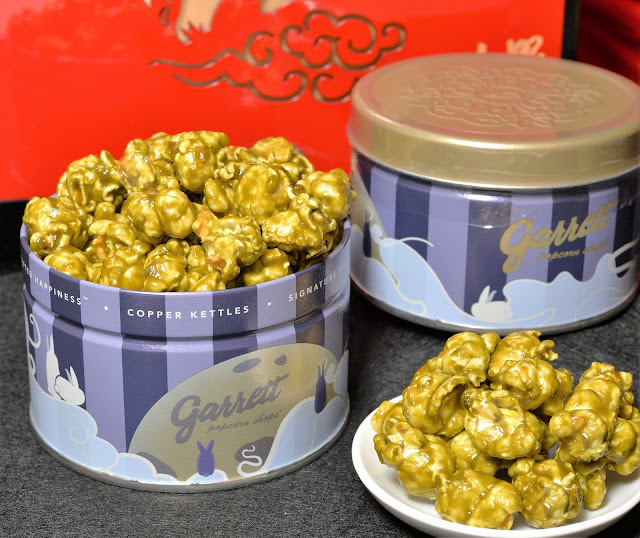 They could be terribly addictive unless you are allergic to nuts. 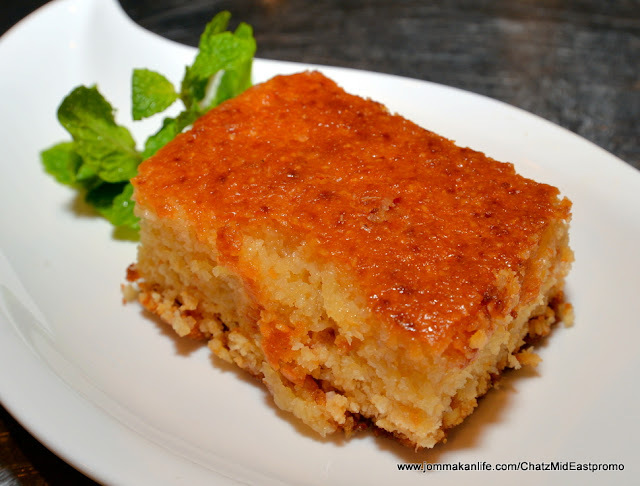 Semolina together with grated coconut and ground almonds formed the foundation for Basbosah, the classic Egyptian cake (similar versions found in most Middle Eastern countries). Drenched with rosewater syrup (again this differs from recipe to recipe), the crumbly cake was meant to be savoured with a strong cup of coffee. 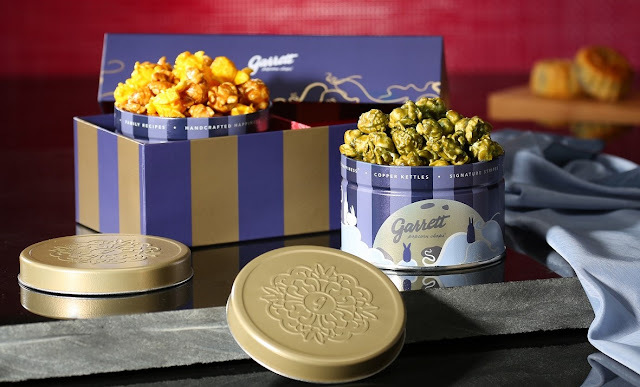 For dining convenience, Chatz Brasserie is offering a Middle East Specialities Set Menu comprising an appetiser, a soup and a choice of Mandy (RM88 nett), Dajaj Kabsah (RM85 nett) or Samak Saiadiah (deep-fried fish in pungent sauce, RM85 nett) for the main followed by a dessert. The dishes reviewed here are also available a la carte from 12noon to 12midnight daily until end October 2016. For reservations, please call CHATZ BRASSERIE, tel: 03-27828301. Address: Lower Lobby Level, PARKROYAL KUALA LUMPUR, Jalan Sultan Ismail, Kuala Lumpur. At RM90 for 3 pcs, the Aburi Sushi Nigiri is a treat fit for a king or queen. Sprinkled with a savoury sauce, the generous slices of slightly seared Waygu beef we sampled were ultra-tender and juicy. The assertive freshness of chopped spring onion and delicate woodiness from threads of deep-fried leek added layers of flavours to the vinegared rice clumps too. 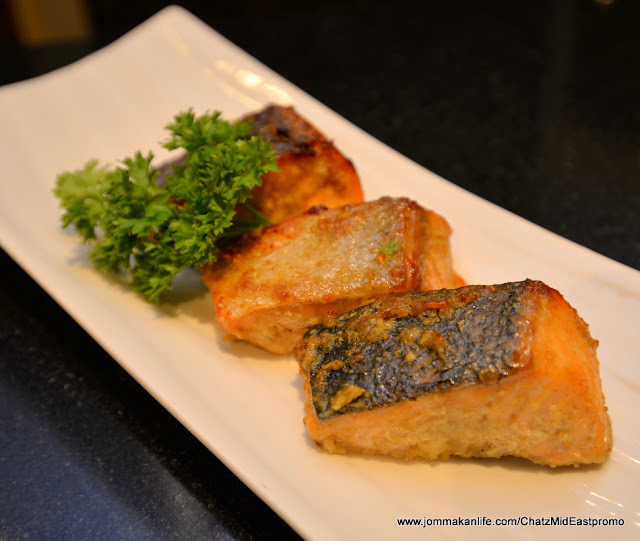 This serving of sublime beefy goodness beckons at Fu Rin Japanese Restaurant, Holiday Inn Glenmarie. It's one of the many dishes featured in the current Wagyu promotion which will run till further notice. The famed marbling of this premium beef was clearly visible in every slice of Wagyu Beef Tataki (RM200). Served with shoyu wasabi dressing and a pile of crisp garlic flakes on the side, the meaty layers had a cluster of asparagus spears hidden underneath. 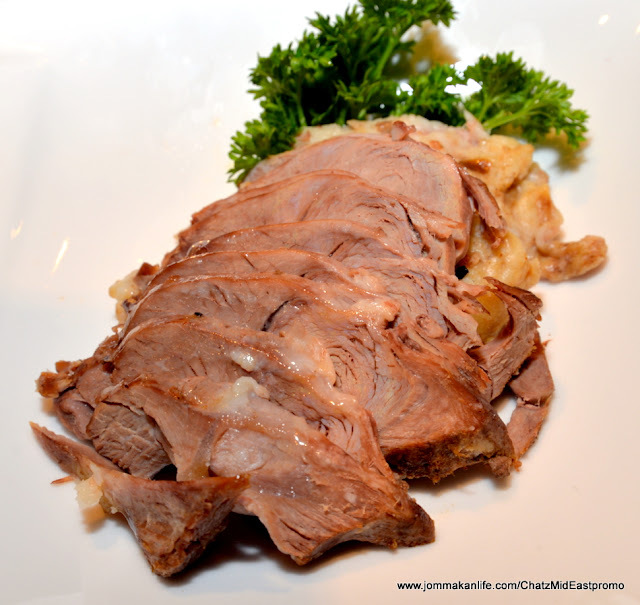 Again it was a deftly prepared dish - the beef with its just right degree of doneness made an indelible impression. Besides the two specialities mentioned above, diners can look forward to other Wagyu dishes such as Gyuniku Yasai Maki (Wagyu beef and vegetable rolls served with butter and soy sauce, RM280), Wagyu Steak Jyu (fried Wagyu sirloin with blended soy sauce served on bed of steamed rice, RM128), Udon Wagyu Beef (hot udon noodles with Wagyu, RM128), Trio Wagyu Beef (fried, grilled and teppanyaki Wagyu, RM280) and Wagyu Wafu Steak (fried Wagyu beef with teriyaki sauce, RM200). I'm partial to fried rice so the portion of Wagyu Chahan (RM48) hit the spot for me. Bits of omelette, smoky minced garlic and that scrumptious beef raised this simple comfort food to gastronomic heights that would leave you 'ooh'-ing and 'aah'-ing at every mouthful. Like melted butter...that was the impression I had when I bit into the cube of Teppan Wagyu (RM280). 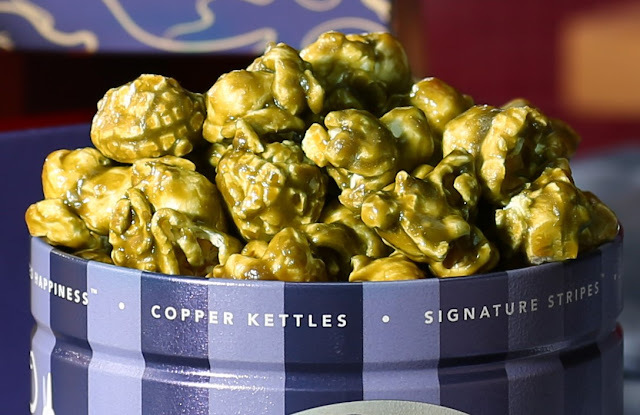 Moist, juicy and impossibly melt-in-the-mouth tender, the voluptous flavour coat the mouth with silky richness. The accompanying salad helped to offset the meaty indulgence. Word has it the Sunday Brunch may be returning to the fold of Fu Rin soon. Buffet fans should keep their ears and eyes out for updates via the hotel FB page.